Definition (FMA) Nerve trunk which is continuous with right and left optic nerves and right and left optic tracts. Definition (NCI) An anatomic structure formed by the crossing of the two optic nerves under the hypothalamus. Definition (NCI_NCI-GLOSS) An anatomy term for an X-shaped crossing (for example, of nerves or tendons). Definition (NCI_NCI-GLOSS) The place in the brain where some of the optic nerve fibers coming from one eye cross optic nerve fibers from the other eye. Definition (MSH) The X-shaped structure formed by the meeting of the two optic nerves. 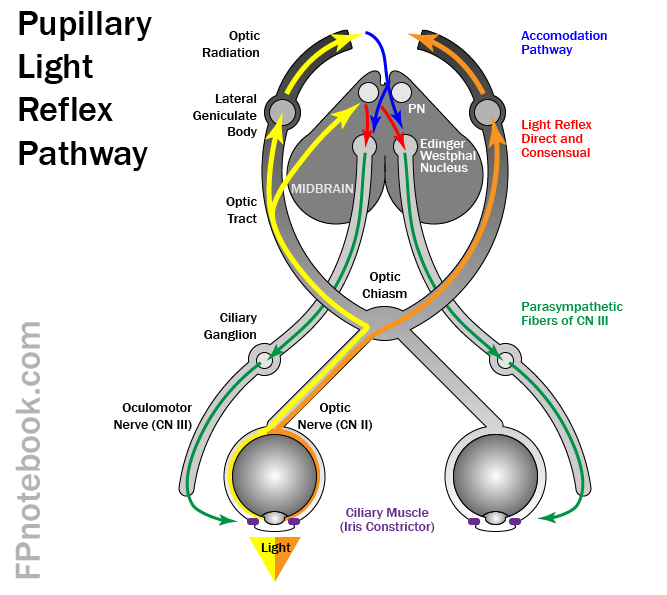 At the optic chiasm the fibers from the medial part of each retina cross to project to the other side of the brain while the lateral retinal fibers continue on the same side. 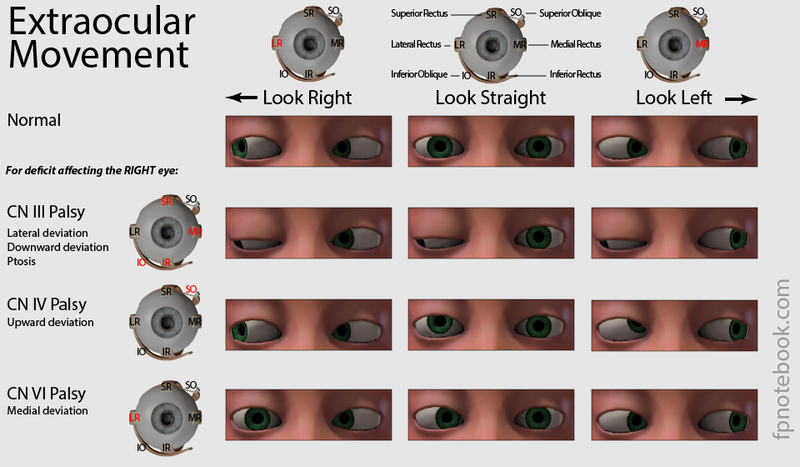 As a result each half of the brain receives information about the contralateral visual field from both eyes. 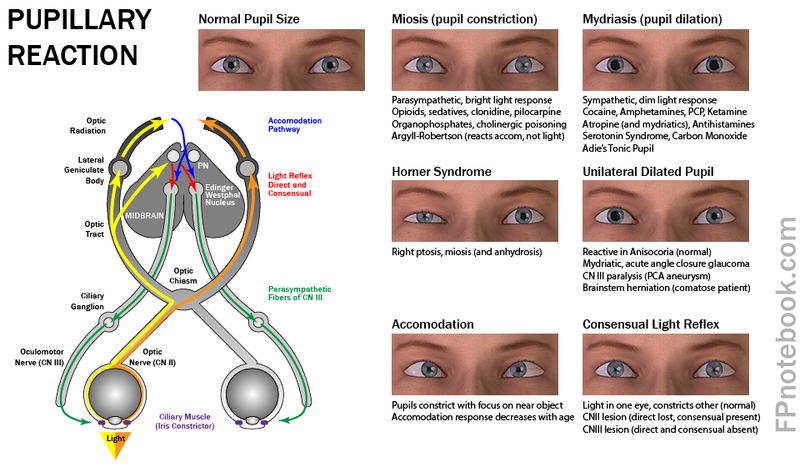 Definition (CSP) hypothalamic structure formed by the crossing of optic nerve fibers from the medial half of each retina. Definition (NCI) The lateral of a pair of small oval masses that protrude slightly from the posteroinferior aspect of the thalamus; commonly considered a part of the metathalamus. Definition (CSP) mass composed of lateral geniculate nucleus, located lateral to the medial geniculate body, and serving as the thalamic center for the visual system. Definition (FMA) Nerve trunk which is continuous with the optic chiasm and the lateral geniculate nucleus. Definition (NCI_NCI-GLOSS) The nerves that travel from the optic chiasm (place in the brain where some of the optic nerve fibers cross) into certain parts of the brain involved in vision. Definition (MSH) Nerve fiber originating from the OPTIC CHIASM that connects predominantly to the LATERAL GENICULATE BODIES. It is the continuation of the VISUAL PATHWAY that conveys the visual information originally from the RETINA to the optic chiasm via the OPTIC NERVES. Definition (PSY) Portion of the optic pathway that extends posteriorly from the optic chiasm in two nerve fiber bundles to synapse near the superior colliculi and in the lateral geniculate body of the thalamus. Definition (CSP) bundle of nerve fibers of the visual system from the optic chiasm to the lateral geniculate nucleus, with some fibers synapsing in the midbrain for reflex connections. This page was written by Scott Moses, MD, last revised on 2/12/2019 and last published on 4/6/2019 .